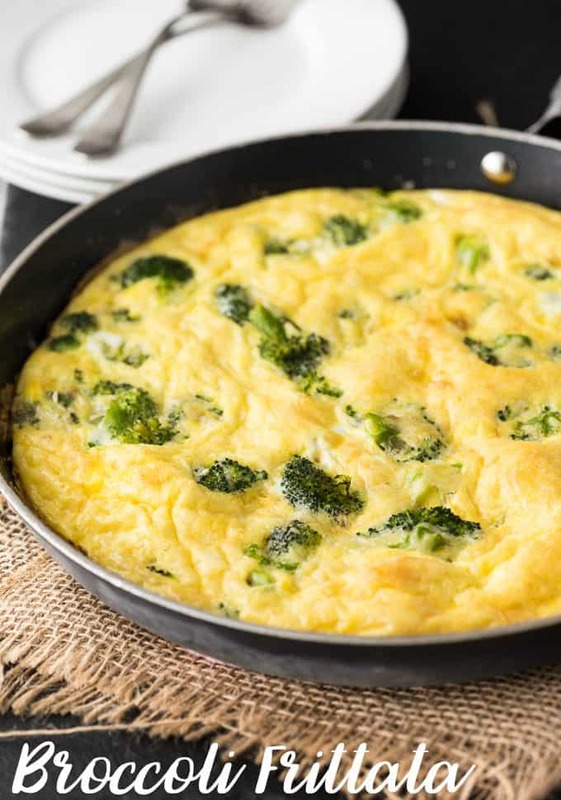 Frittata is my new obsession. I think because it’s a perfect fit with my low carb diet and there’s just something so right about eggs & cheese together. I can’t get enough! I found this recipe in an issue of Canadian Living Fresh & Healthy and it sounded so yummy and easy to make. It was delicious! Even my 8 year old daughter gobbled it up. 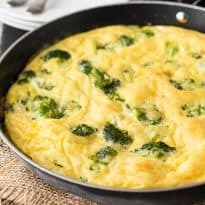 Easy, healthy and great for a low carb lifestyle. 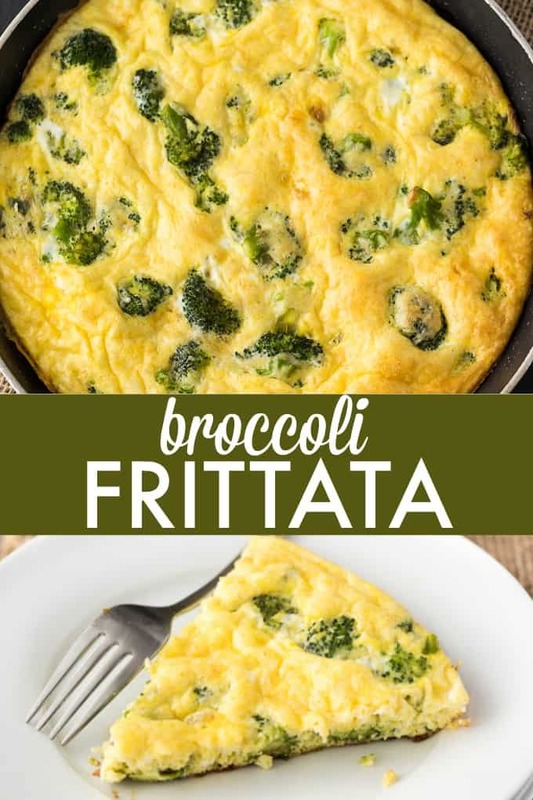 In a 10-inch skillet, bring broccoli and 1/2 cup water to a boil. Cover and cook over medium heat until tender-crisp, about 2 to 3 minutes. Uncover and cook over medium-high heat until no water remains, about 4 minutes. Add 1 tbsp of oil, hot pepper flakes, garlic and green onions to pan; cook until lightly browned, 1 to 2 minutes. Add to broccoli. 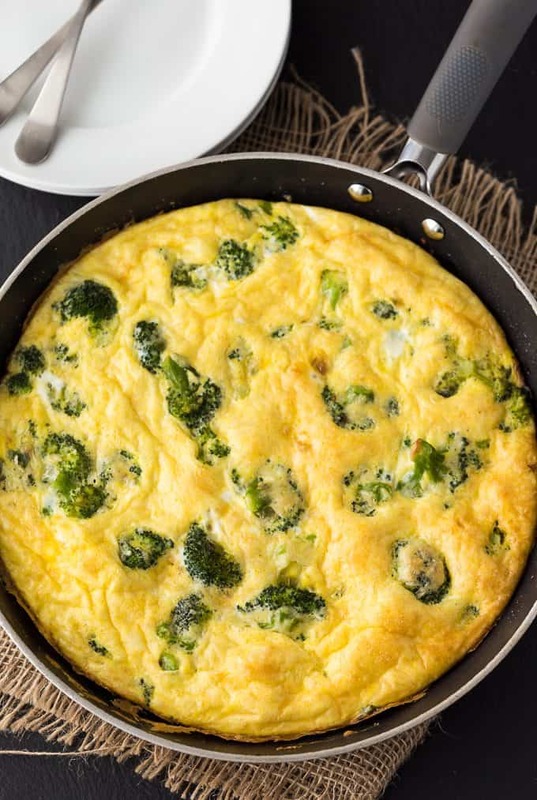 In a large bowl, beat eggs and cheese. Stir in broccoli mixture. Wipe out the skillet; heat remaining oil over medium heat. Pour in egg mixture, spreading evenly. Cook over medium-low heat for about 5 to 6 minutes. Place skillet in 400°F oven; bake for 10 minutes. Let stand for 2 minutes. Cut into wedges & serve.